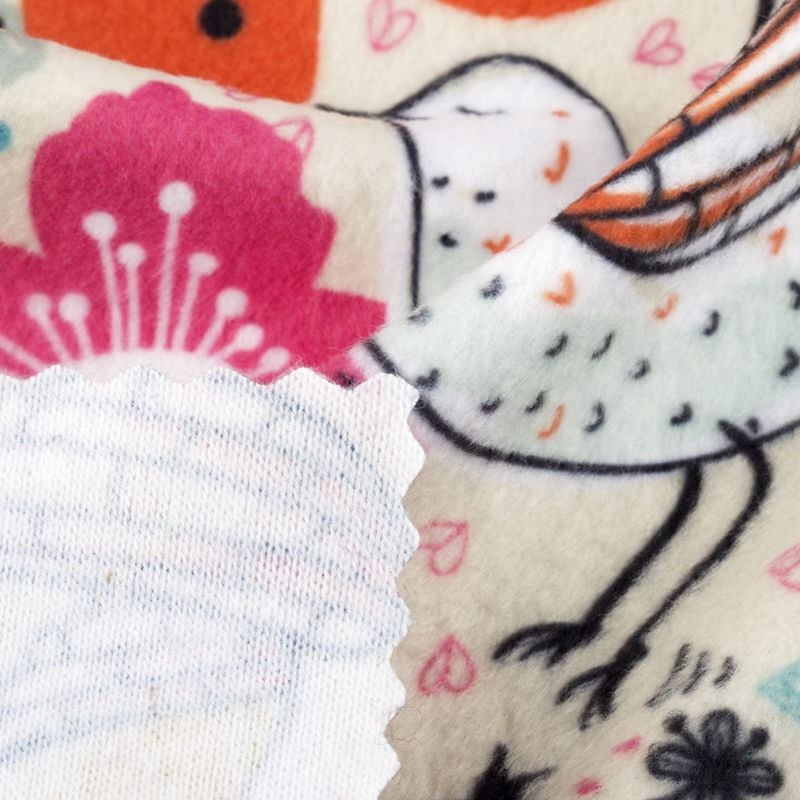 Get snuggly, cuddly and cosy with gorgeous polar fleece fabric printed with your unique designs. It's so versatile and can be used for many DIY craft or clothing projects, from homemade baby blankets to polar fleece jackets for winter. At 285 gsm, its durable, strong and repels water, so whatever you make it'll be in your life for a long time. 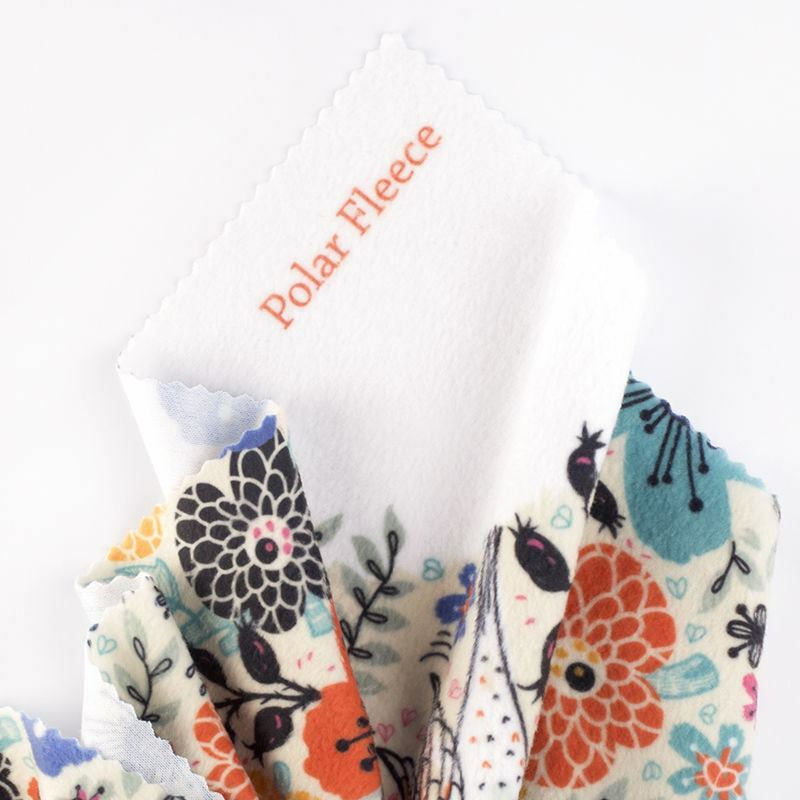 Soft and smooth to touch, our polar fleece is a wonderful fabric to use for making warm clothes, accessories, comfy nightwear and plush home furnishings. It's such a versatile fabric that lasts years, so it's ideal for children's gifts and other items that might endure a little wear and tear over time. The brushed surface creates a velvety texture that feels divine against the skin, so experiment making printed jacket linings, scarves or even seat covers for your next upholstery project. This is perfect for crafty, creative people who want to create something unique printed with their own patterns. Ordered a photo jigsaw and montage piece of fabric. The quality of both is exceptional. The jigsaw is expensive but much better formatting possibilities on this website than any other. Polar fleece needs a little pampering to keep it nice and soft. Machine wash at 30°c, dry flat and brush regularly so the fibres don't go stiff. Do not tumble dry or iron. For best results, use clothes brushed with soft, tightly packed together bristles, rather than a standard hairbrush. What you'll be pleased to know is that it's a waterproof fleece fabric, so repels water. This textile is fire rated safe for nightwear, so why not rustle up a pair of cosy pyjamas or a nightie for you or a loved one. If you're just starting out with sewing at home, start with a simple baby blanket or scarf that also doubles up as a gorgeous keepsake gift. We see many customers using our waterproof fleece fabric for making gloves, hats, jogging bottoms and other outdoor gear. As it doesn't absorb moisture, you can create apparel that's suitable for winter - ideal for when you get caught in a downpour or playing in the snow! If you've got an old cushion you're looking to restore, use this lovely soft fleece to make a cover. Scatter it on the bed or snuggle with it on the sofa for extra comfort. Design your own polar fleece fabric and have fun making your own clothes, furnishings and crafts! This custom fleece is one of our favourites to print on as it's so soft, cuddly and warm. 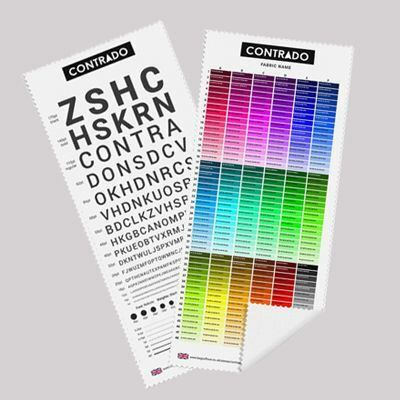 The process we use is dye sublimation, which bonds the ink to the fabric creating an everlasting print. When you design your own fleece, you'll have the option to choose one of four edge finishes: hemmed with black thread; hemmed a with white thread, cut on the line or left in its natural form. Edges left as the fabric comes will be a rough cut, so if you'd prefer a neat, expert cut on the line, please choose that option. Please note: your print is bold, bright and clear, but due to the brushed surface and raised fibres of fleece material, it's less sharp than fabrics with non-brushed faces, please bear this is mind when printing on fleece.